* Translated to 40 languages: Arabic, Asturian, Belarusian, Brazilian Portuguese, Bulgarian, Catalan, Chinese (Simplified and Traditional), Croatian, Czech, Danish, Dutch, Faroese, Finnish, French, Galician, German, Hebrew, Hindi, Hungarian, Indonesian, Italian, Japanese, Korean, Low German, Malay, Norwegian, Polish, Portuguese, Romanian, Russian, Serbian, Slovak, Slovenian, Spanish, Tamil, Thai and Turkish. You need to download .deb packages from here once you have deb package install by double clicking on it. 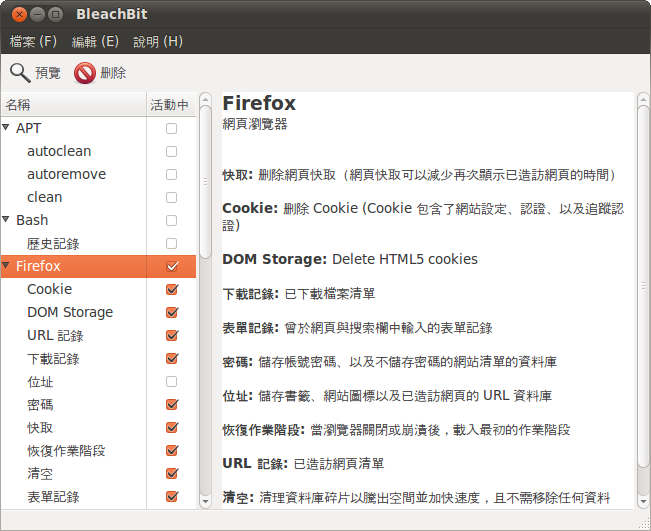 I see this tool in linux mint and i like it at first time, but it give me a few problems. Great tool. Although I´m not using it as Root. Afraid to bork my system. ‘Run as admin’ fails in Mint 10.